247Sports NFL Analyst Kevin Boilard breaks down the latest NFC West title projections for the 2019 season. San Francisco 49ers general manager John Lynch speaks with reporters at the NFL Scouting Combine. The San Francisco 49ers at the NFL Combine on 247Sports. San Francisco 49ers GM John Lynch discusses the trade rumors involving Pittsburgh Steelers WR Antonio Brown. 247Sports NFL Analyst Kevin Boilard breaks down the immediate fallout of Colin Kaepernick's settlement with the NFL. 49ers coach Kyle Shanahan joins CBS Sports HQ on behalf of Zebra Technologies to discuss Jimmy Garoppolo's injury, expectations for next season and more. 49ers TE George Kittle joins CBS Sports HQ on behalf of Skittles to discuss his breakout season, expectations for next season and more. Jerry Rice speaks one-on-one with 247Sports about Pittsburgh Steelers WR Antonio Brown. Previewing the 49ers and Rams in Week 17, presented by Buffalo Wild Wings. Previewing the Seahawks and 49ers in Week 15, presented by Buffalo Wild Wings. Should Fantasy owners start RB Jeff Wilson or RB Sony Michel? On CBS Sports HQ, Pete Prisco and Will Brinson offer their expert picks for the 49ers at Seahawks, presented by Applebee's. Previewing the 49ers and Seahawks in Week 13, presented by Buffalo Wild Wings. Previewing the 49ers and Buccaneers in Week 12, presented by Buffalo Wild Wings. Sponsored by John Hancock, San Francisco wide receiver Dante Pettis gives us a closer look into his life and his future plans. Can you still trust Nick Mullens as a streaming QB? Is QB Nick Mullens worth streaming in Week 10? Previewing the Giants and 49ers in Week 10, presented by Buffalo Wild Wings. Micah Roberts and Kenny White break down how to bet the Giants-49ers MNF game. Previewing the Raiders and 49ers in Week 9, presented by Buffalo Wild Wings. On CBS Sports HQ, Kevin Harlan and Rich Gannon recap the Rams' dominant 39-10 victory over the 49ers. 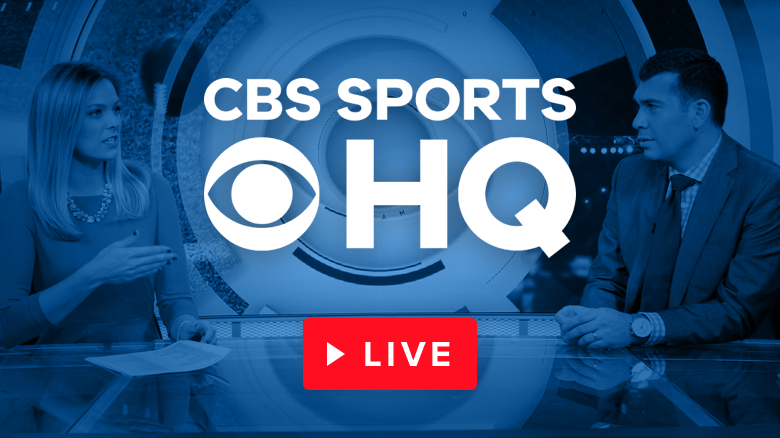 On CBS Sports HQ, Pete Prisco joins Erik Kuselias and Hakem Dermish to break down C.J. Beathard's performance in the 33-30 loss to the Packers. On CBS Sports HQ, Pete Prisco joins Erik Kuselias and Hakem Dermish to break down Aaron Rodgers late heroics in the 33-30 win over the 49ers. Kenny White and Micah Roberts break down how to bet the 49ers and Packers. Pete Prisco and Brady Quinn preview the 49ers at Packers, presented by Buffalo Wild Wings. Pete Prisco and Jamey Eisenberg give their takeaways from the 49ers-Chargers game. On CBS Sports HQ, Andrew Catalon and James Lofton recap the action between the San Francisco 49ers and the Los Angeles Chargers from the StubHub Center. Can you trust any 49er WR after the loss of QB Jimmy Garoppolo? CBS Sports fantasy expert Jamey Eisenberg joins HQ to discuss how Jimmy Garoppolo's injury affects the fantasy value of other 49ers. An MRI confirms that Jimmy Garoppolo has a torn ACL and is out for the season. On CBS Sports HQ, Jamey Eisenberg and Pete Prisco discuss the potential season-ending injury to 49ers starting quarterback Jimmy Garoppolo. Can the 49ers or the Chiefs prove Pete Prisco wrong? Pete Prisco and Brady Quinn break down 49ers at Chiefs, presented by Buffalo Wild Wings. Fantasy football expert Jamey Eisenberg joins Nick Kostos to share whether or not to start or sit George Kittle heading into Week 2. Former NFL QB Brady Quinn breaks down why Jimmy G will have a bounce back performance against the Lions in Week 2. Are the 49ers a playoff sleeper? Pete Prisco and Brady Quinn preview the 49ers at Vikings in Week 1. How Much Will Loss Of Jerick McKinnon Hurt 49ers? Bryant McFadden and Will Brinson discuss McKinnon's reported ACL tear, which will keep him out for the season. Kelly Stewart and Kenny White break down all the betting angles for the week 1 match-up between the 49ers and Vikings. Can Alfred Morris make an impact for the 49ers? What to expect from Alfred Morris in San Fransisco. Is Marquise Goodwin the real deal? Discussing what to expect from Marquise Goodwin this season. Our fantasy experts break down what to expect from Jimmy Garoppolo this year. Who are some overvalued RBs in terms of ADP? CBS Sports senior fantasy writer Jamey Eisenberg joins HQ on why Jimmy Garoppolo will be a breakout QB this season in fantasy. Fantasy football expert Jamey Eisenberg breaks down the best San Fransisco RBs to target after another injury. Inside 49ers Training Camp: How Improved Is This Defense? Evan Washburn discusses whether the 49ers defense is looking like an improved unit going into this season. Evan Washburn discusses what the 49ers expect from newly-acquired RB Jerick McKinnon this season. Inside 49ers Training Camp: Is Jimmy G Worth The Hype? Evan Washburn breaks down what he's seen from Jimmy G during camp and whether he believes the QB is worth the hype. Evan Washburn discusses the situation that led to a huge brawl between the 49ers and Texans during their joint practice. Pete Prisco discusses the frequent fights popping up at joint practices and if they serve as a warning sign for teams moving forward. Bryan DeArdo joins Kevin Boilard on The Tuesday Touchdown by 247Sports to explain why Jerry Rice was greater than Tom Brady. 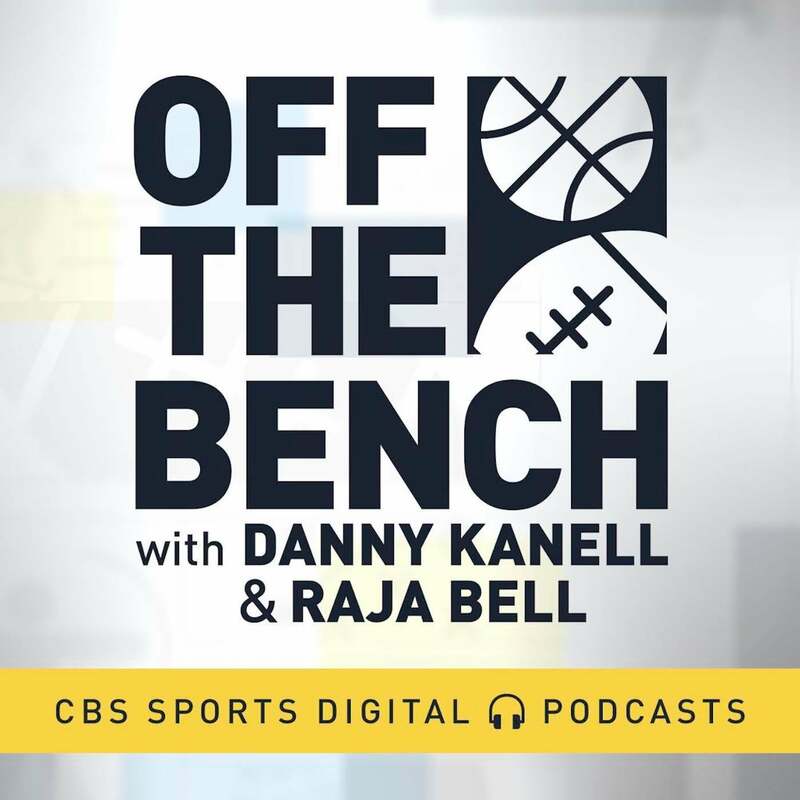 On CBS Sports HQ, NFL writer John Breech joins Chris Hassel to talk about the easiest schedules in the NFC and his expectations for the 49ers. On CBS Sports HQ, Nick Kostos reminiscences on Dwight Clark's iconic Super Bowl catch and the legacy he leaves behind. On CBS Sports HQ, senior NFL writer Pete Prisco and NFL analyst Danny Kanell join Chris Hassel to break down potential challengers to the Rams in the NFC West. CBS Sports HQ's Nick Kostos is joined by NFL analysts Pete Prisco and Jamey Eisenberg to discuss Pete Prisco's NFL power ranking of the San Francisco 49ers. The CBS Sports HQ crew breaks down the impact Mike McGlinchey will have going to the San Francisco 49ers. 49ers make Jimmy Garopolo the highest-paid player in the NFL. Pete Prisco joins Jorge Andres to discuss the record deal. Micah Roberts joins Kelly Stewart to break down San Francisco-Seattle. Fantasy Football expert Jamey Eisenberg joins Jorge Andres to discuss the upcoming season for the San Francisco 49ers. Nick Kostos, Jamey Eisenberg and Dave Richard take a look at Jamey's start 'em sit 'em RBs for Week 9. The Pro Football Rundown crew previews New Orleans at San Francisco. Jason Whitlock joins Doug Gottlieb to discuss the controversy surrounding Colin Kaepernick.